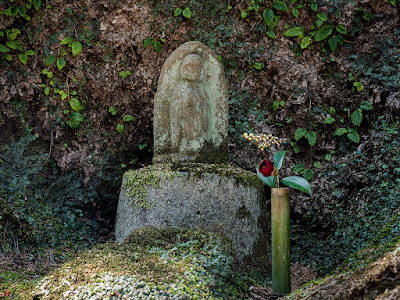 A tiny stone image of Jizo Bosatsu (Jizo Bodhisattva), that looks like an innocent infant smiling benevolently, is enshrined quietly in the shallow hollow on the thickly moss-covered rock-face. 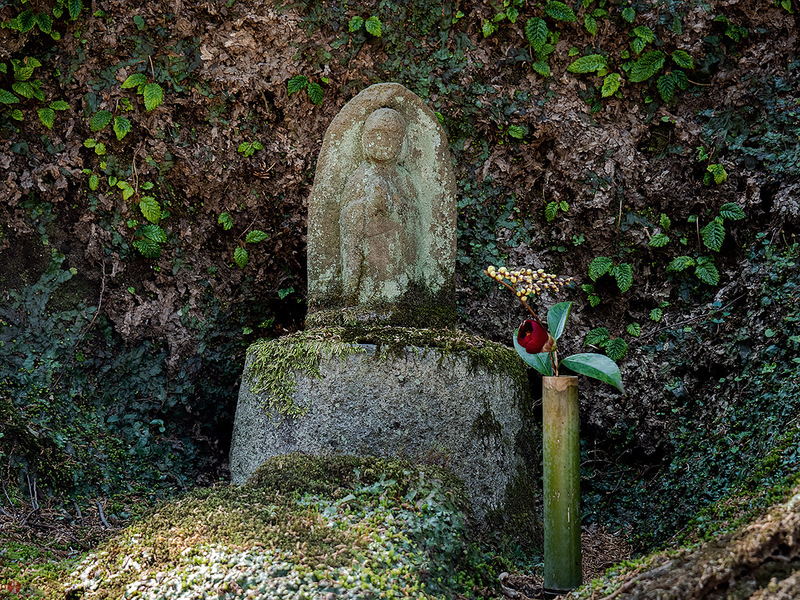 The young leaves of Iwa-tabako (Conandron ramondioides) have just come out from the narrow cracks in the stone-wall and are surrounding this small avatar of Buddha as if to offer up spring prayers. 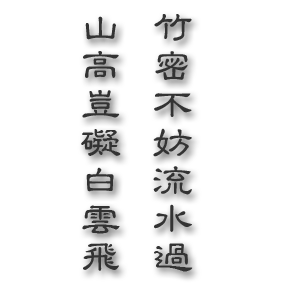 Jizo Bosatsu reveals the Buddha's salvation for the lost souls cast into Hell and is also widely accepted as a guardian deity of children in folk beliefs in Japan.